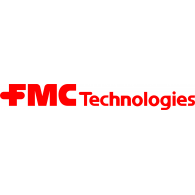 According to The Fly, susquehanna analyst Charles Minervino reiterated a Buy rating on TechnipFMC PLC (FTI) today. The company’s shares opened today at $23.35, close to its 52-week low of $22.39. According to TipRanks.com, Minervino is ranked 0 out of 5 stars with an average return of -17.1% and a 21.7% success rate. Minervino covers the Basic Materials sector, focusing on stocks such as Baker Hughes a GE company, Diamond Offshore Drilling, and Oil States International. Currently, the analyst consensus on TechnipFMC PLC is a Strong Buy with an average price target of $35.83, representing a 53.4% upside. In a report issued on November 22, Jefferies also reiterated a Buy rating on the stock. Based on TechnipFMC PLC’s latest earnings release for the quarter ending September 30, the company reported a quarterly net profit of $137 million. In comparison, last year the company had a net profit of $121 million. Based on the recent corporate insider activity of 37 insiders, corporate insider sentiment is negative on the stock. TechnipFMC Plc engages in the provision of solutions for the production and transformation of oil and gas. It operates through the following segments: Subsea, Onshore and Offshore, Surface Technologies, and Corporate.